There are 7 billion gallons of drinking water wasted every day in the United States and over 1 trillion gallons are wasted each year. That’s a lot of wasted water. According to the Washington Post, California has a current water deficit of 11 trillion gallons or over 10x the trillion gallons wasted each year. Water conservation is top of mind for Californians as we deal with this extended, severe draught. How do you conserve water in your home? Water Use It Wisely (wateruseitwisely.com) has a lot of great ways for Californians and all Americans to conserve water. Over 100 in fact! Don’t overfill your pool. Splashing will waste water. Shower in 5 minutes or less. Don’t bathe. Baths require 70 gallons of water. Purchase a dual flush toilet with half-flush features. Test your toilet for leaks. Use ice cubes to water plants. Clean outdoor surfaces with brooms instead of a hose. Only run your dishwasher if it is 100% full. Adjust your lawnmower to a 2-in. height. Taller grass retains soil moisture. Those are some of our favorites. Most of the tips are pretty easy and require little more than turning off sinks and faucets when they’re not being used efficiently. Be sure to visit their website for over 100 more tips. The website also features games and lessons for children about conserving water, an event calendar, recent news and product recommendations. 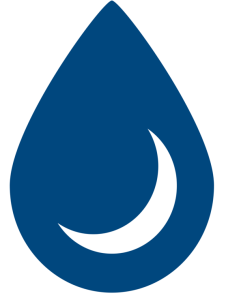 You can find even more tips from Water Use It Wisely to conserve water in your home at the bottom right of our website. Be sure to check back often for new tips. 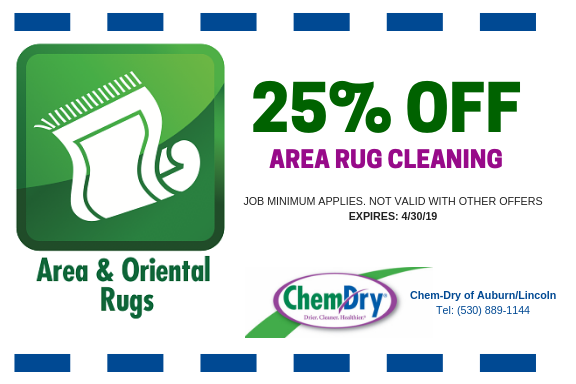 For professional carpet cleaning, Choose Chem-Dry of Auburn/Lincoln instead of steam cleaning services, carpet shampooers or rental machines. 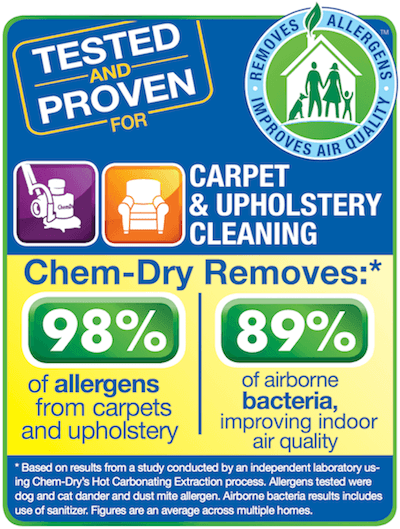 Chem-Dry of Auburn/Lincoln uses 80% less water than steam cleaning and rental carpet cleaning machines. Steam cleaning carpet requires several gallons of water to accomplish. This is because steam cleaning uses soap to remove dirt and stains from your carpet. Anytime soap is used for cleaning water has to be used to remove the soap. Most rooms are 100 sqft. of carpet or more. That’s a lot of soap and a lot of water. 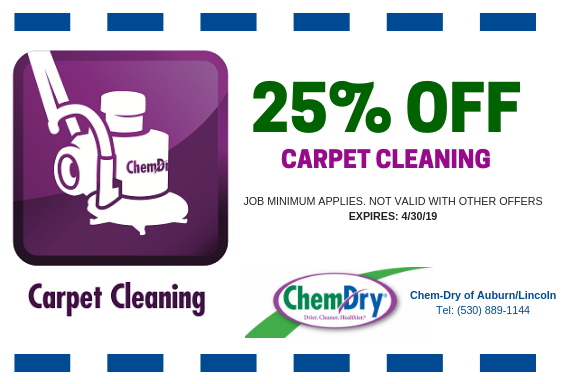 Chem-Dry of Auburn/Lincoln can use less water because we don’t use soap as part of our carpet cleaning process. The Natural uses carbonated bubbles to lift dirt and stains from carpet fibers and is 100% free of chemicals, detergents and soap. 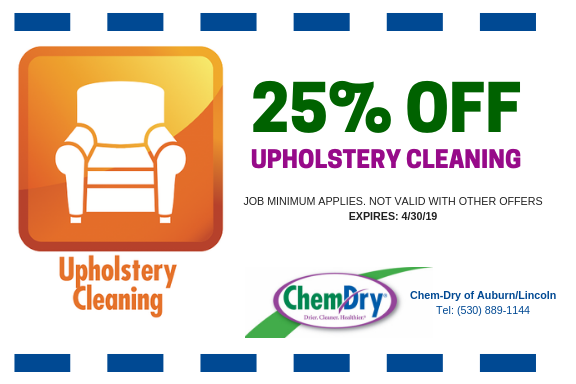 You can conserve water in your home when you choose Chem-Dry of Auburn/Lincoln for carpet and upholstery cleaning and your carpet and furniture will be drier faster too! Carpet dries in 1-2 hours on average. Pretty fast. For more information call us at (530) 889-1144 or learn about our services at our website.